The University of La Verne has joined The Andrew Goodman Foundation’s network of Vote Everywhere campuses aimed to improve voting accessibility while tackling social justice issues. The University of La Verne is one of 59 colleges and university campuses in 24 states and Washington D.C. to join the network. 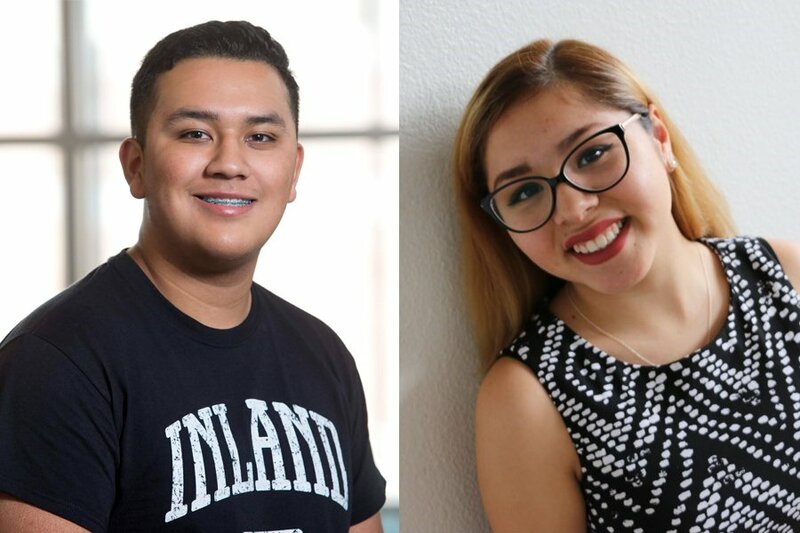 As a member of the program, the university selected two students – sophomore Francisco Villagomez-Luna and freshman Abrelle Negrete – to serve as Vote Everywhere Ambassadors. Through the on-going training and support of The Andrew Goodman Foundation, Vote Everywhere Ambassadors act as lifelines for college campuses on voting issues and civic justice. These students actively work to register their peers to vote while leading campus-based initiatives for social equality. Negrete, an education major, applied to become an ambassador in order to promote social change and democratic engagement on campus. “Increasing the number of those politically involved in the University of La Verne can help to create a more open environment for all identities and help create a more positive sense of community both politically and culturally,” Negrete said. A political science major, Villagomez-Luna also has a strong sense of civic duty. Citing his civically engaged family and community as his inspiration, Villagomez-Luna hopes that serving as an ambassador for The Andrew Goodman Foundation will help encourage younger, disengaged students to vote as well. “I have a big task ahead of myself, but I hope that we as citizens will come together, get informed and get out and vote,” Villagomez-Luna said. The Andrew Goodman Foundation is a national, nonpartisan organization founded in memory of Civil Rights activist Andrew Goodman, who was murdered by the KKK during Freedom Summer in 1964. The organization currently advocates for voting equality and youth leadership through its Vote Everywhere program. Vote Everywhere partners serve to advance campus voting engagement and cultivate leadership among the newest generations of young voters at colleges and universities around the country. For more information about the Andrew Goodman Foundation program at the University of La Verne or how to get involved with events, contact the Office of Civic and Community Engagement at engagement@laverne.edu.